When out on the trails at night you might need more lighting then just your standard headlights on your Jeep. 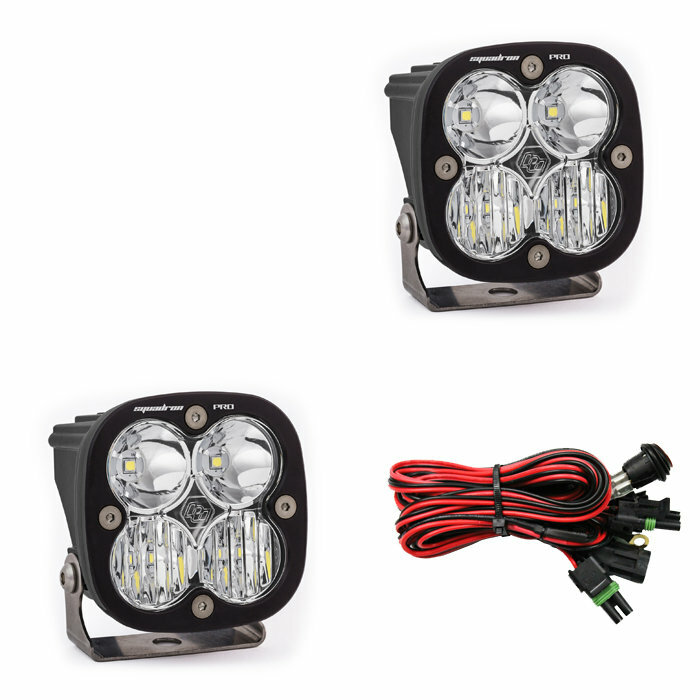 Baja Designs has the perfect solution for those dark nights on the trails with their Squadron Pro Driving/Spot Combo LED Lights that can be mounted almost anywhere on your Jeep. Packed into the sleek looking black aluminum housing is a powerful 4,900 lumens at 40 watts that will make you path a lot brighter and easier to navigate at night. Combo Beam Pattern: Get the best of both worlds with both a Driving beam (42°) pattern along with a Spot (9°) beam pattern to give you a blend for both near & distance lighting. Wide Cornering: An industry first beam pattern that was made specifically for cornering, dust & fog conditions. The 42° flattened horizontal beam gives you a wide driving pattern for ultimate lighting.